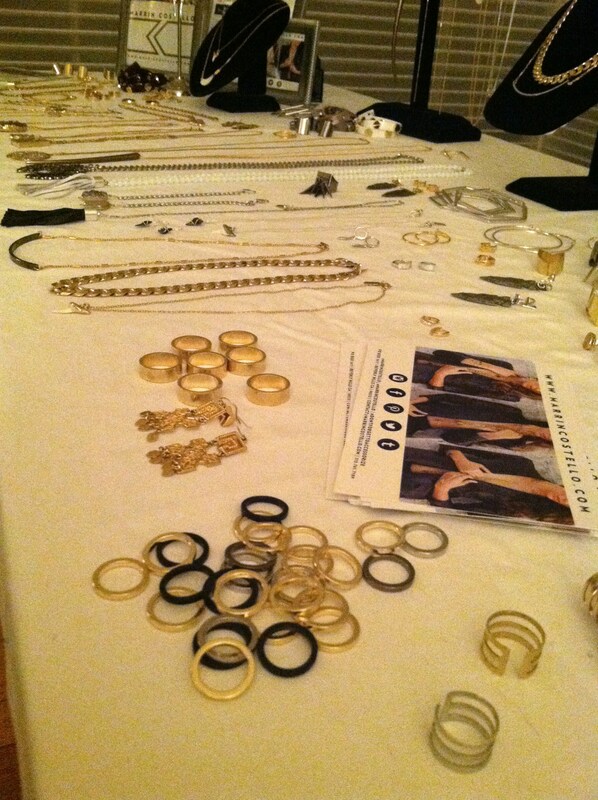 My friend Sarah recently hosted a trunk show for the talented, native-Alamedan Marrin Costello. I discovered her designs this last summer (which I wrote about here), and was so excited to see more. While I haven’t been to many, trunk shows are brilliant ideas- who doesn’t love shopping with friends and a glass of bubbly? 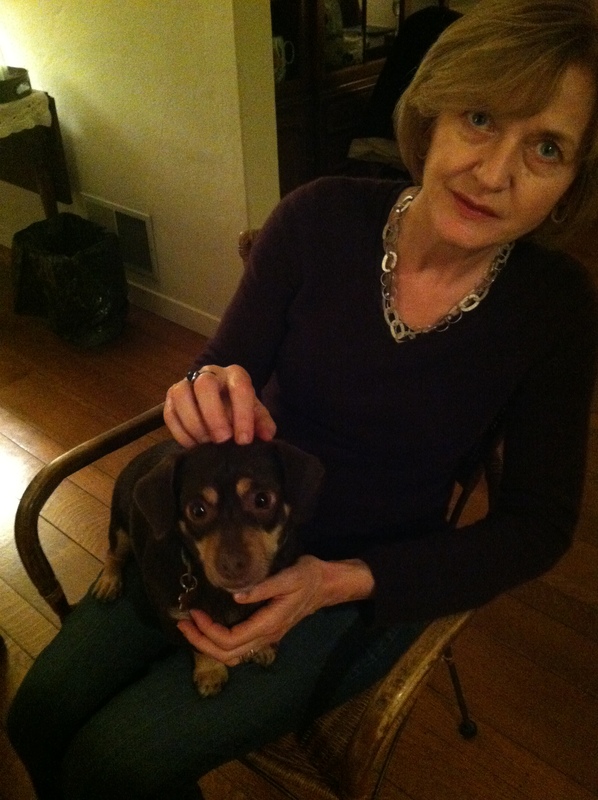 My mother was kind enough to accompany me, and immediately bonded with Sarah’s dog, Theo. 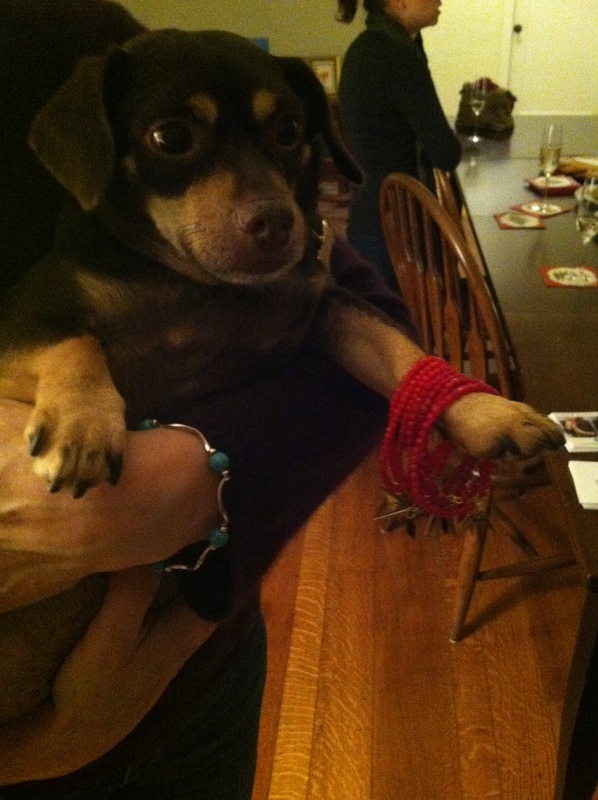 He proved to be the ultimate good sport, and tolerated us dressing him up in all the jewelry. He looks quite at ease, if anything. While I had my sights set on the ornate gold earrings pictured above, I didn’t plan on leaving with nearly as many pieces as I did. 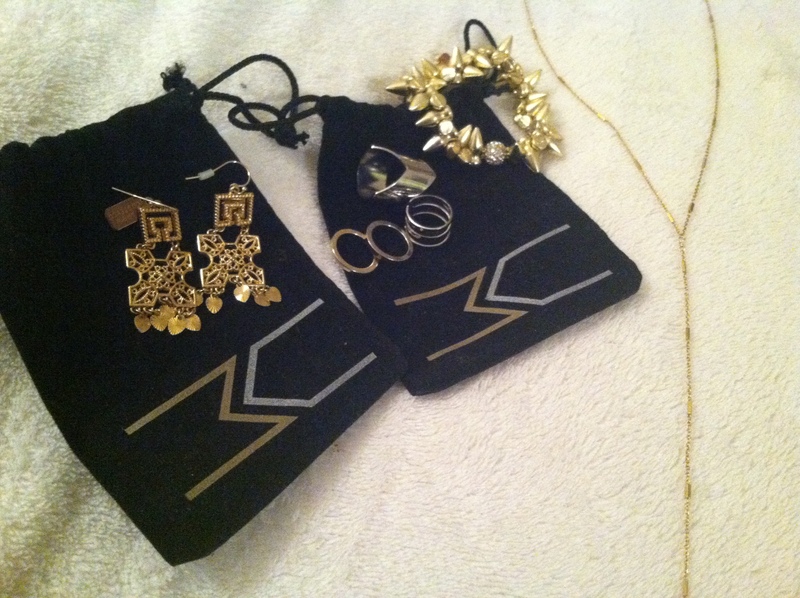 By the end, this included midi rings, a necklace, and a gold bowzer bracelet. A few were gifts, which was a lovely surprise, but the rest were, admittedly, gifts to myself. I also picked up a beautiful Italian leather wrap bracelet for my mother for Christmas, which was much more exciting to buy than the flannel pajamas she initially requested. I love the variety of Marrin’s unique designs- there’s a little something for every facet of your personality. 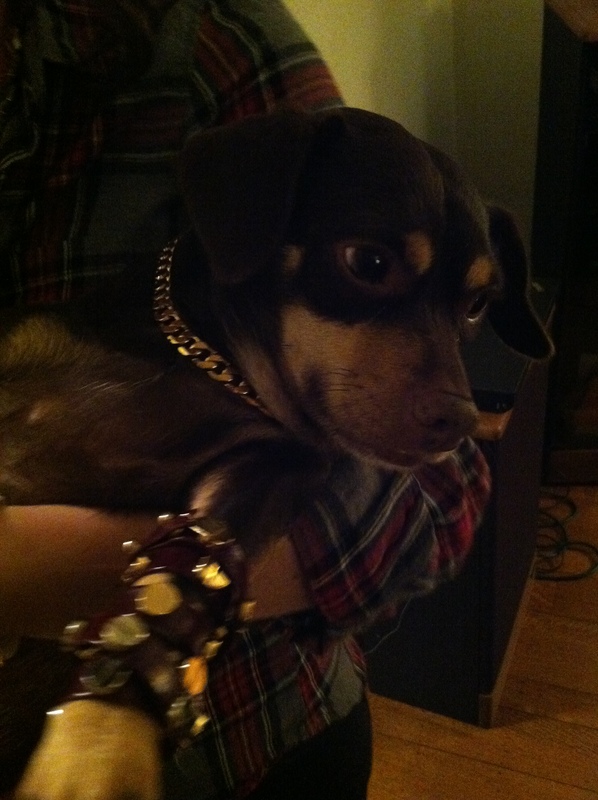 When I’m feeling tough, or like I need a little extra back-up, I wear my spiked bracelets, usually stacked. On more delicate days, my new necklace pairs nicely with my everyday pieces. And, to instantly dress up any outfit, my new gold earrings. In other news, I’m not allowing myself to buy any more jewelry for the majority of 2015. What about you, dear readers? Do you have jewelry designs (or a particular designer) you gravitate to? Jewelry can be such a powerful, personal thing- I think it’s important for everyone to have a little something special.